It's sink or swim for Jack and Annie when Magic Tree House whisks them off to the middle of the ocean. "Is this town haunted?" Jack and Annie wonder when the Magic Tree House takes them to the Wild Wild West. "Where are the lions?" Jack wonders when the Magic Tree House whisks him and his sister to the vast plains of Africa. It's icicle city...when the Magic Tree House whisks Jack and Annie to the frozen Arctic. Who wants to vacation next to a volcano? Jack and Annie are about to find out when the Magic Tree House whisks them back to the days of the Roman Empire. Who would burn books? Jack and Annie find out when the Magic Tree House takes them back to ancient China. "Beware the Vikings!" warns Morgan. Then Jack and Annie are whisked back to ancient Ireland. Join Jack and Annie as the Magic Tree House takes them to ancient Greece to witness the very first Olympic games! I brought this set of books for my 7yo son to try and get him interested in reading. 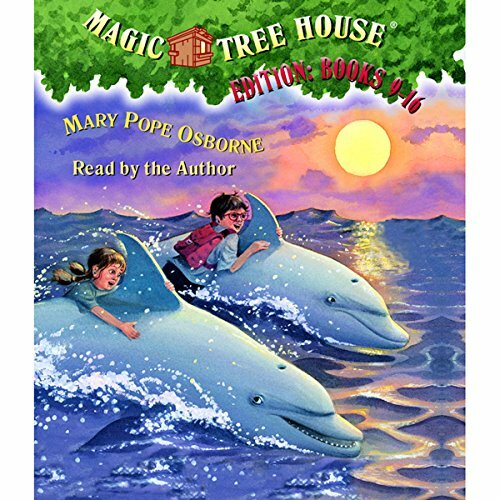 All three of my children aged 7, 9, and 11 thought the magic tree house stories were great. I have since brought the actual books and my son was actually reading one in bed with the torch. These books have helped him get a little more interested in reading and for some boys, thats a struggle. 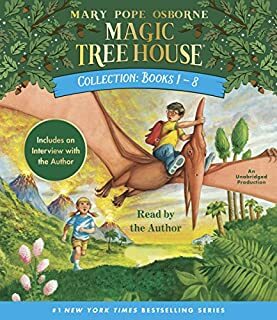 My name is Euan and I am six and I like The Magic Treehouse series. I REALLY like it. It's about children, Jack and Annie, who go on adventures. They go to the sea, to Pompei (that was a sad one because some people died) and to Ancient Greece and to other really cool places. I liked the ninjas and I also liked the dolphins and I am looking forward to the Titanic. Wish it was broken up better. 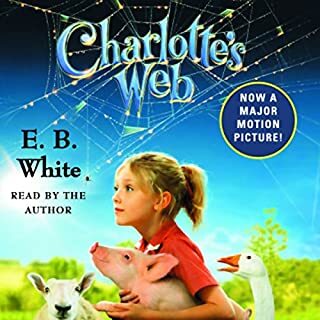 I've said this for the other books in this series as well; these are great books, and a great performance by the author. The only problem I have is that the file is only one track and not at least broken up into the individual books. 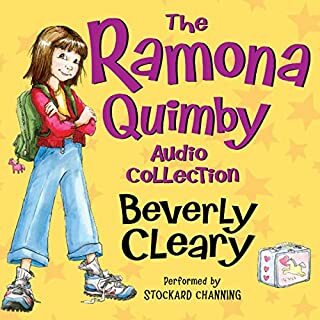 It makes for a very frustrating time to find the book you want the kids to hear. 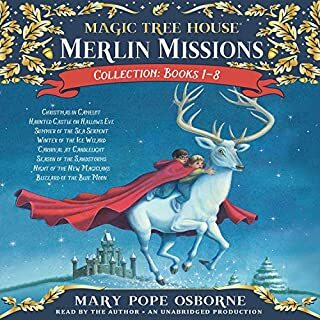 My squirrelly 4 and 5 year old boys have never looked forward to their quiet time in the afternoon, and bedtime, since we started to incorporate Mary Pope Osborne's Magic Treehouse audiobook collections to our routine. They love the stories, and get so excited to tell me all about the chapters I miss. I even like to listen to them! 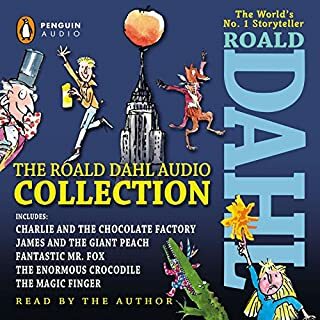 My kids, 3,5,7 love these stories. And lots of life conversations come out of them. great stories. unhelpful labeling of chapters. my son loves these stories. a downside is that it doesn't tell you where one book/story ends and another begins. it's just 83 chapters listed by number with no chapter title or description. very difficult to do something like play one story at bedtime. thumbs up to the stories, thumbs down to the interface. 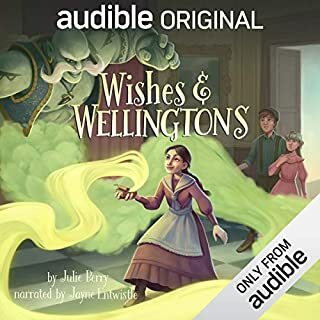 Trying to listen to this on an echo Dot is very frustrating. they are 76 chapters but no way to know where each book starts and stops.